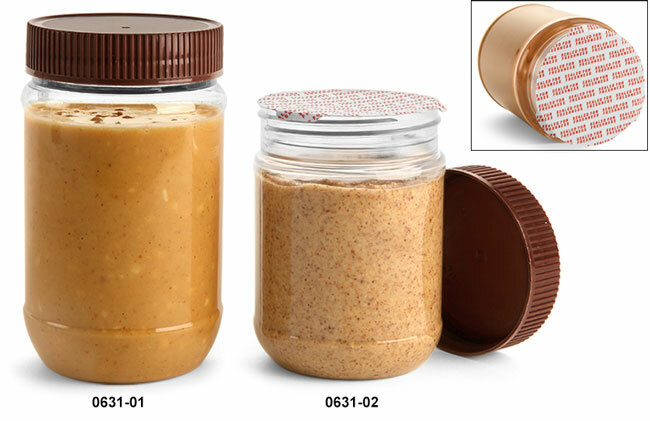 These clear plastic peanut butter jars come with brown ribbed plastic caps that feature induction foil liners to help maintain freshness of your product. 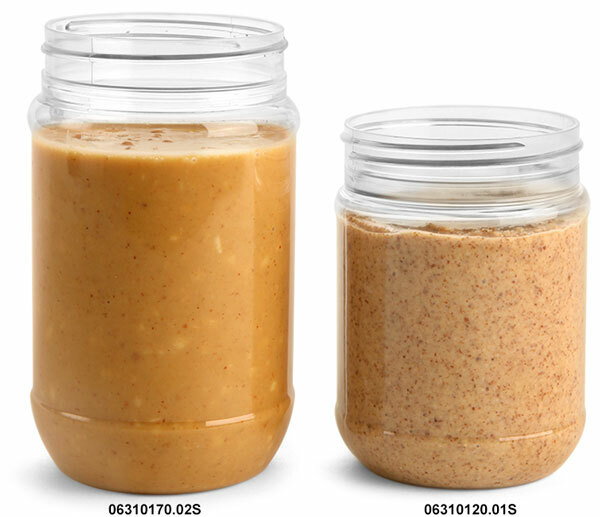 The cap liners are also printed with the phrase "Sealed for Freshness" which can be easily applied with an Induction Cap Sealing System such as our Enercon Super Seal Jr. 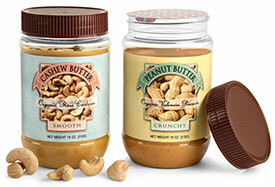 These PET wide mouth jars could be ideal for packaging peanut butter, almond butter and other spreads.